For more than half a century, a passion for creating beautiful mosaic has resulted in Bisazza’s involvement with some of the most prestigious and luxurious swimming pools in the world. Famous actors, musicians and corporate magnates have all been customers of the famous Italian brand, as have premier resorts and hotels. 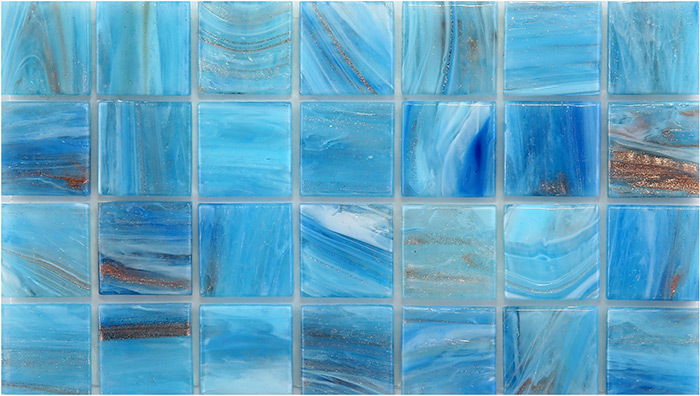 Unique to Australia and New Zealand, the Australian Pools Collection presents 35 specially selected designs, with mosaic in a range of colours and textures perfectly suited to our extraordinary southern hemisphere sunlight. 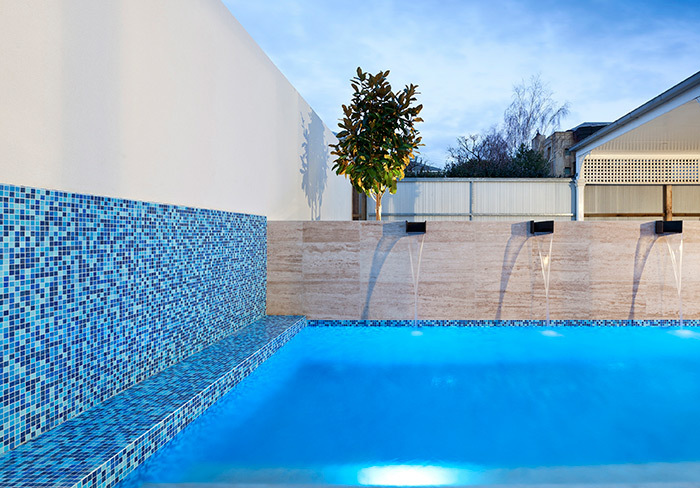 It’s no secret that the Australian climate can present challenges for pool builders. For the first time, Bisazza has developed an innovative hotmelt support system for tile sheets, which ensures that adhesion exceeds the requirements of the latest Australian standards. The new system has been subjected to the most rigorous pull-off test ever conducted by the CSIRO and all Bisazza products have passed with flying colours. Alongside this, the company also produces its own superior quality adhesive and a range of beautifully coloured grouts, known as Fillgel. This sets Bisazza apart as the only mosaic company able to offer a complete solution and ensure that customers can enjoy their investment, trouble free, for a long, long time. It’s this passion, enthusiasm and obsessive attention to detail that has made Bisazza an iconic brand all over the world, and why the famous Italian company genuinely deserves its continued reputation as the unequalled luxury brand in pool mosaics. See the Australian Pools Collection here.